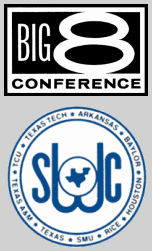 1994: There's a shift looming in the college football landscape with the announcement that four Southwest Conference schools – Texas, Texas A&M, Texas Tech and Baylor – have been invited to join the Big Eight. 2004: Offensive lineman Richie Incognito and fullback Grant Miller are charged with assault after an altercation at an off-campus party. 2009: Patrick Witt, a top candidate to become Nebraskas starting QB, decides to leave the program. 2014: Ndamukong Suh joins Vince Young, Adrian Peterson and Robert Griffin III on ESPN's Big 12 Mount Rushmore.